Tech brands be afraid. Be very afraid. Because while the traditional sports companies have taken somewhat of a back seat over the last couple of years with regards to connected, smart, fitness tech, they are very much coming to the party now. Sure, Nike had huge success with its Fuelband devices and Adidas has dabbled with running watches and gym assistants but, on the whole, the regular sports names have kept their distance, watching from the side-lines. This has allowed the likes of Jawbone and Fitbit to park tanks on their lawns, while at the same time navigation brands like TomTom and Garmin have muscled their way into the genre as well. But it's becoming clear that some pretty major names in sport weren't just avoiding a complicated new market. They were playing the long game, waiting to see what users wanted, what mistakes its new rivals would make and what opportunities would be born out of the connected health revolution. 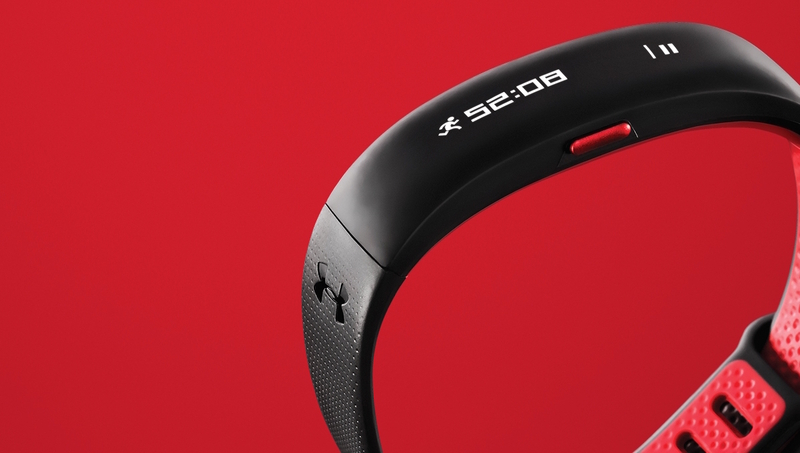 The most complete example of this is Under Armour: a brand that has carefully been sewing the connected fitness seeds for years, and has now arrived at the hardware stage with a bang. The Under Armour Record platform already has over 150 million users, with 100,000 new users signing up everyday. According to a recent Wired feature, more than 1.7 billion workouts were registered on UA Record in the last year alone. That's thanks, in part, to Under Armour acquiring three of the biggest fitness apps in the game: MapMyFitness, MyFitnessPal and Endomondo. Saying that Under Armour will soon be the biggest sports brand on the planet (it's currently third behind Nike and Adidas) is an obvious statement. It isn't just innovating and expanding at a rate of knots that no other sports brand seems capable of, it's also taking on and beating traditional tech powerhouses at their own game. The 20 year-old company, born out of a Baltimore basement, originally planned to launch a wearable fitness band alongside HTC, using the Taiwanese company's name. That project, the HTC Grip, was canned last year but, just months later, Under Armour has brought a complete connected fitness hardware platform to the table in the shape of the HealthBox, which was just announced at CES 2016. Sure, HTC is involved in the design and building of the hardware but it's Under Armour's name and logo on the new kit. HealthBox boasts a fitness band (albeit without the GPS smarts of the cancelled Grip), a connected set of scales and a chest strap for bpm training. Of course, it all ties into the UA Record platform. There's no need for users to sign up to yet another fitness app. That will be the case with any new hardware it launches. New Balance is another example. It might not have the customer base, in terms of registered users, of Under Armour but is one of the fastest growing (if not the fastest) sporting brands worldwide. A Bloomberg report in July stated it is expanding more rapidly than even Nike, with an annual revenue growing 15% on average over the last five years, compared to Nike's 10%. It used CES 2016 to announce the New Balance Digital Sport division, which will focus on "understanding, motivating and improving the lives of athletes through digital experiences and wearable technologies." The first move is a smartwatch powered by Google and Intel. Much like the (easily best looking smartwatch) Tag Heuer Connected, New Balance's wearable tech debut will be an Android Wear device with Intel silicone inside. Intel is a key component in all of this. Samsung, Sony, LG, Asus, Motorola and Huawei – all big name traditional tech brands – all had Android Wear smartwatches on the market, sans-Intel architecture, before the biggest name in processing power showed up. Intel waited almost 18 months from the launch of Android Wear until its first smartwatch was announced. And it's steered clear of the regular tech players in favour of fashion and sports brands. It clearly clued onto that fact that, when it comes to wearables, companies that have been specialising in goods that people wear have a clear advantage. The arrival of the sports brands could be the shot in the arm that the regular tech names need. People don't just want a miniaturised smartphone with a strap. They don't want an ugly bezel with a dead screen area. They don't want a half-baked fitness platform. They want something cool. Something trendy. Something aspirational. And something that's inherently wearable and actually helps them achieve their fitness objectives.